I’ll be teaching some fun new classes for Quilts, Inc. this year. I thought a sneak peek would be in order. These will be fun, action packed classes. I hope to see you there! Here are images and descriptions of the 3 classes that I am teaching for the International Quilt Festivals at Long Beach and Houston 2012. If you have any questions about the supply lists in the catalogs at quilts.com , please feel free to email me. 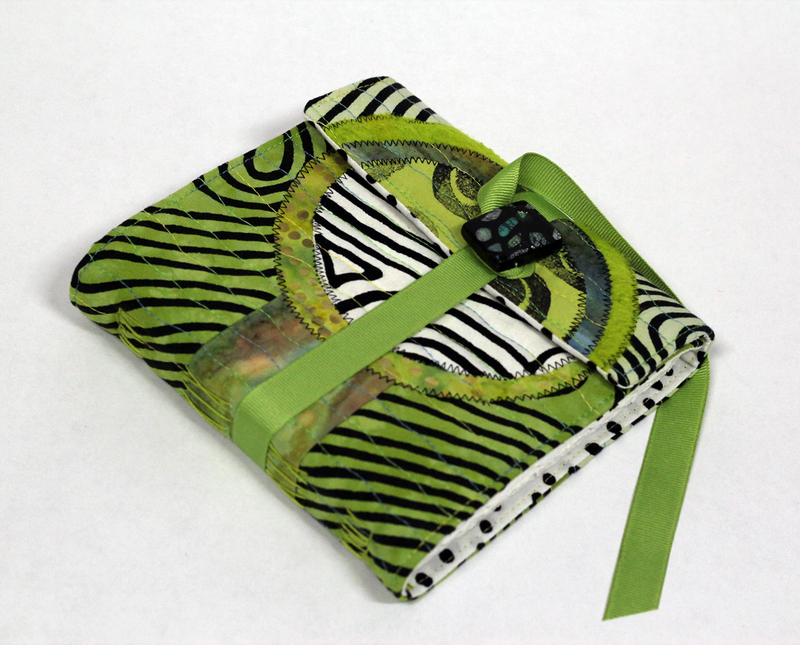 1) Quilted Sketchbook – This class is a hybrid: you get both book arts and quilting. Design a book full of creative possibilities enclosed in your own unique quilted cover. Learn how to use book arts techniques and a medieval binding stitch to wrap it up. These books make great journals or sketchbooks, and are excellent gifts for special people in your life. This is a full day class, we will design and quilt the cover in the morning and then comeback to use the book binding techniques to stitch in the pages in the afternoon. 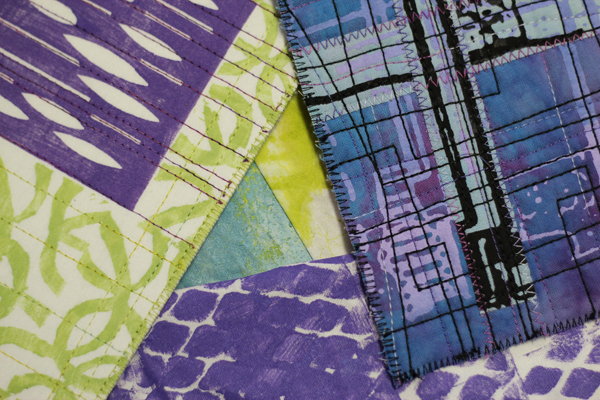 2) Stamps, Stencils and Image Inspiration – This is an exciting mixed media class for art quilters. Alter your textile surfaces with simple techniques, handmade tools, textile paints and found objects. Explore creative exercises to generate your own unique imagery for mixed media compositions. This is a half day class full of great techniques. 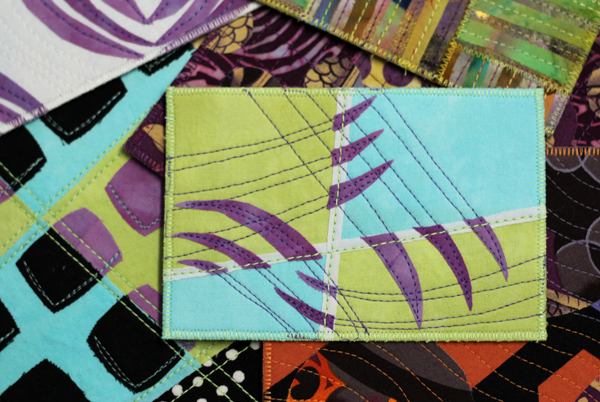 3) Fused Fabric Postcards - Discover techniques for unique mailable gifts and art quilts. Explore journal quilting to chronicle experiences and investigate larger quilt ideas. Delve into inspiration tools to create imaginative compositions. This is a half day class full of fusing fun. I look forward to seeing you at the quilt festivals this year for some quilting fun!